The Best Things to Do in Cozumel (Mexico): An Expert’s Guide! So, you’re looking for things to do in Cozumel? When it comes to rounding up the regions best highlights, I’m the expert! I make it my business to find out what is worth checking out, and what’s not. Because ultimately, I want your travel experience to Playa del Carmen and the surrounding areas to be unforgettable. Whether it’s things you can do on your own or a particular tour, I’ve got you covered. Choosing can be confusing, and that’s why I’m here to help. With tons of providers often offering the ‘same’ experience, the quality of the tour can differ greatly. I’ll make sure you pick wisely. It’s possible to visit Cozumel just for the day, however, if you have time I’d definitely recommend staying at least one night to experience the true magic of the place! Once you arrive on the island, you’ll be plunged into the true rhythm of the tropics. 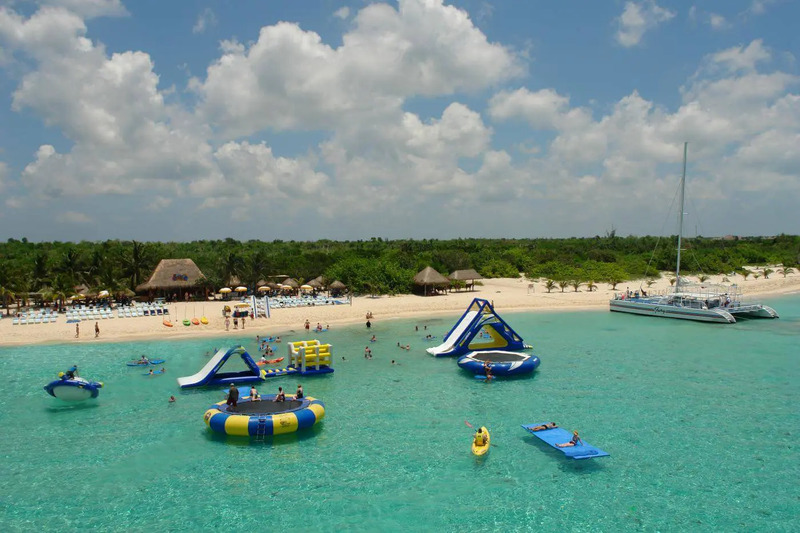 Make a splash when you come to Cozumel by visiting Playa Mia on their Day Pass Experience. This attraction enjoys a privileged position on one of the best beaches on the island! 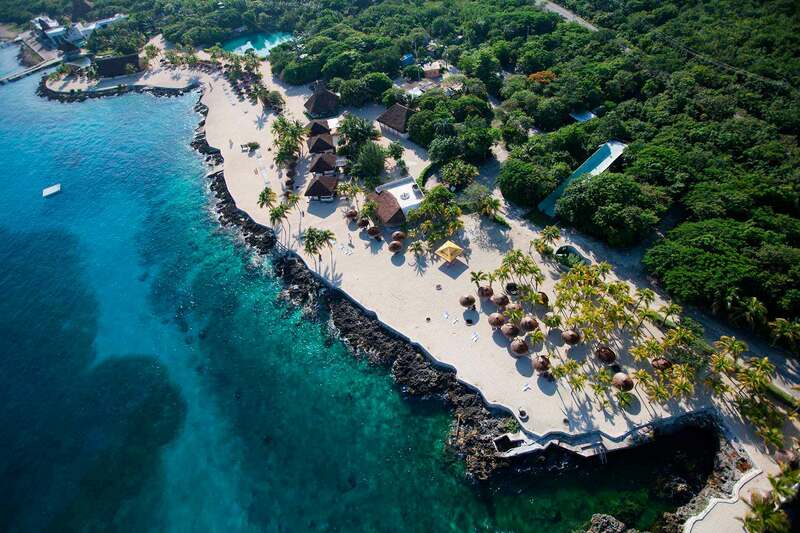 As well as enjoying the waterpark you can marvel at the breathtaking coastline as you journey along the Western side of the island learning of Cozumel’s fascinating history and ancient Mayan cultures. Playa Mia is the perfect place to practice your snorkeling skills and enjoy more than 20 services included for free (more details on our tour page). Ticket prices include an international buffet and open domestic bar. 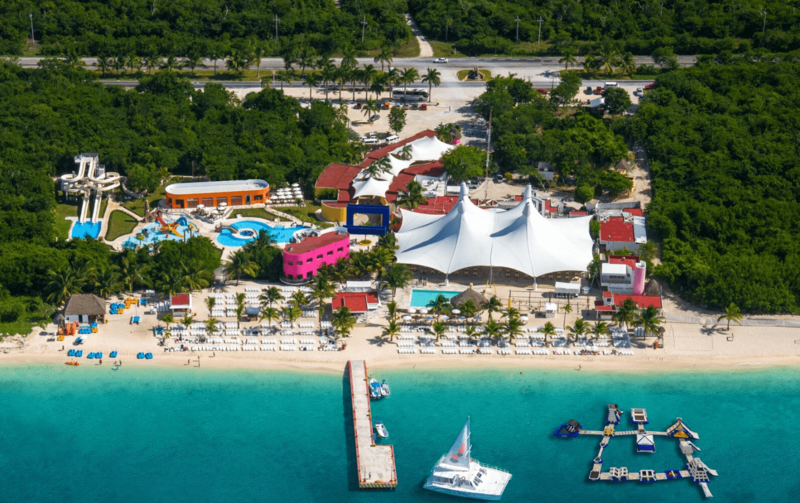 Adult prices start at $84 pp. The perfect activity for families and couples. It’s time to experience the best water park in the region. 2. Playa Mia + Coral Reef Snorkeling. 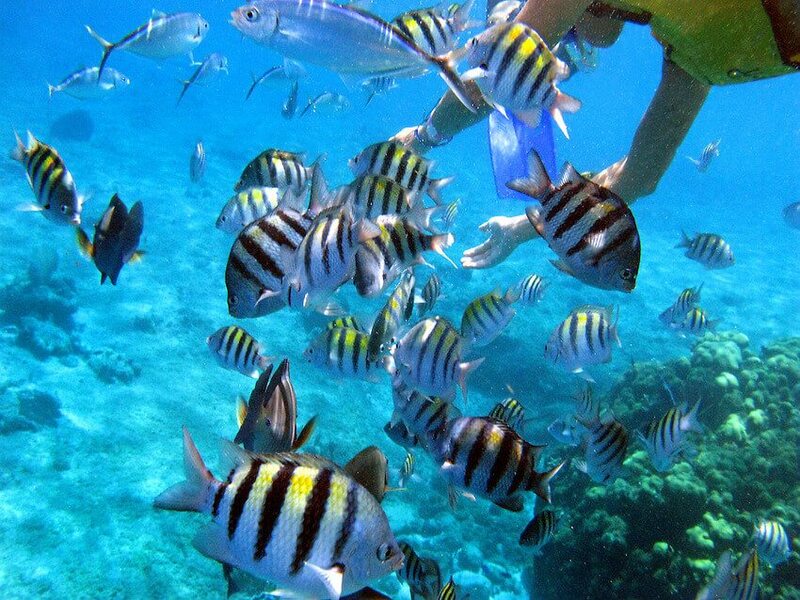 Cozumel is celebrated around the world for its world-class snorkeling and diving opportunities. At Playa Mia, you can enjoy some of the best Coral Reef Snorkeling in the Caribbean. This part of the world is home to the largest coral reef system in the Northern Hemisphere. Whether you’re a beginner or advanced snorkeler there’s no better place to get into the water. 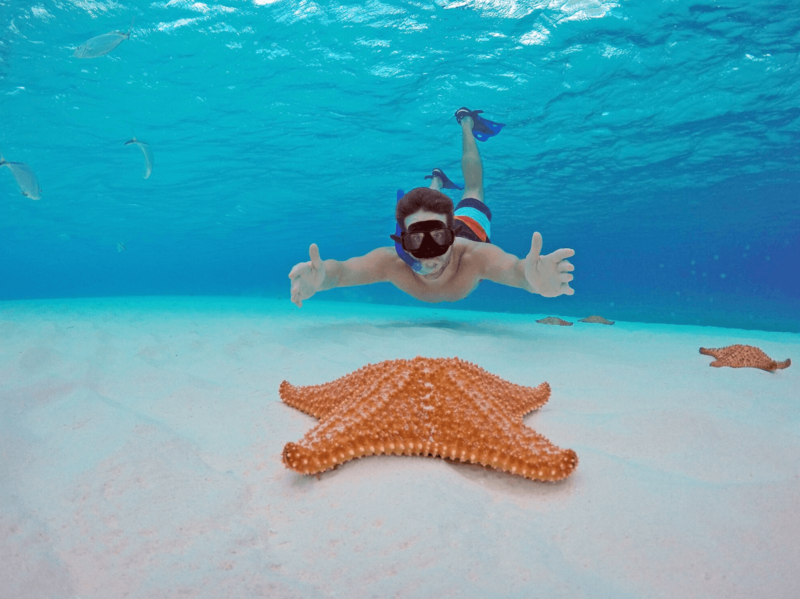 Here at Playa Mia, you can make friends with the local marine, before heading to their incredible Starfish Sanctuary. From there you can enjoy all the attractions Playa Mia is celebrated for including kids play area, hydro-massage tubs, kayaks and more. It’s the epitome of tropical bliss. A certified snorkeling guide will journey with you as you explore the lush reefs and stunning sea life of Cozumel. On a typical trip, you will see lots of colorful tropical fish, incredible rock formations, and if you’re lucky SEA TURTLES! Although I should note a sighting is not always guaranteed. Once you’ve worked up your appetite you can return back to Playa Mia for some lunch and leisure time. This tour operates from Monday to Saturday and the duration is 8 hrs (without transfer time for guests with pick up/drop off service). The flavors and traditions of Mexico tour was designed with people like you in mind. Mexico is celebrated all over the world for its epic culinary delights. Coming to Mexico and NOT trying some of the country’s signature dishes and flavors would simply be criminal. On this tour, you have the opportunity to put an apron on, roll up your sleeves and get involved. My favorite Mexican flavors include tequila, chocolate, and it’s mouthwatering cuisine. 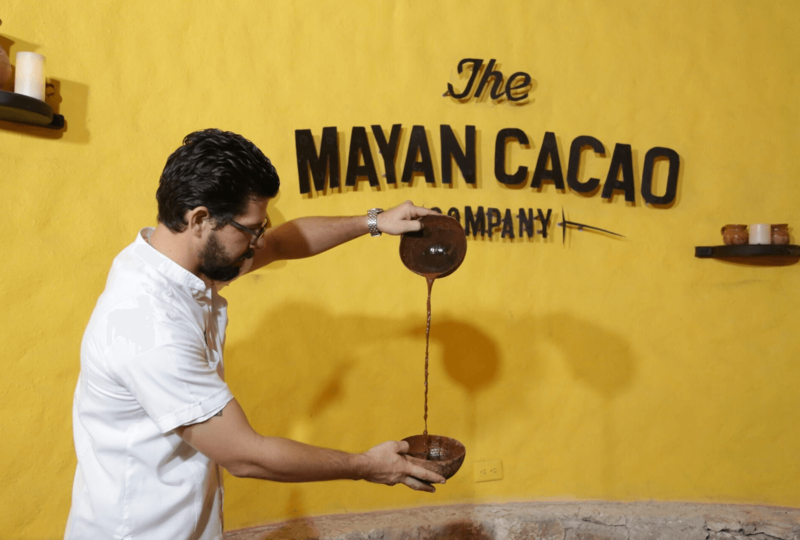 During this tour, you’ll have the chance to taste unique blends of tequila, learn about the significance of the Cacao seed in Mayan culture, and take part in a unique cooking workshop. It’s the perfect tour for couples or honeymooners searching for something a little different. After cooking up a storm and eating what you made head down to the sublime beach and enjoy all the amenities Playa Mia has to offer. Food and island time…what more could you ask for? Adults prices start from $108. Visit some ancient Mayan Ruins during your trip to Cozumel. El Cedral is the site of the oldest ruins on the island. This small house with no ornamentation is a fertility temple and thought to be a very important ceremonial site. It has a strong religious significance for locals with a small church located next to the tiny ruin. 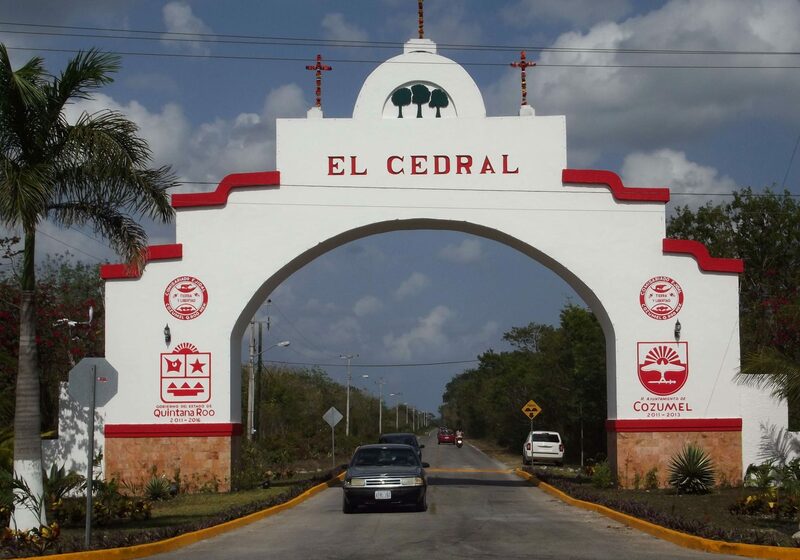 The village of El Cedral is just 3km west of Carretera Costera Sur. The turnoff is near Km 17, across from the Alberto’s Restaurant sign. Just look out for the white-and-red arch. Want to see the depths of the ocean without getting wet? 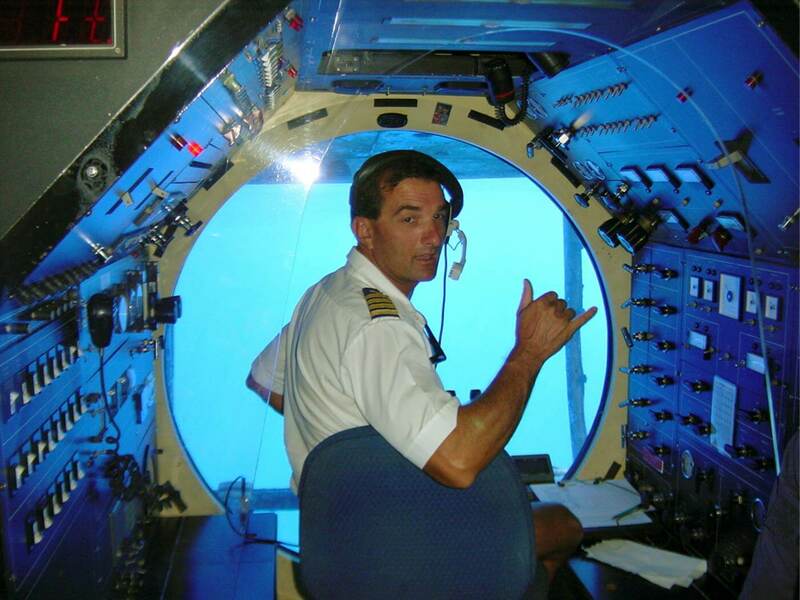 All aboard the Atlantis Submarine! 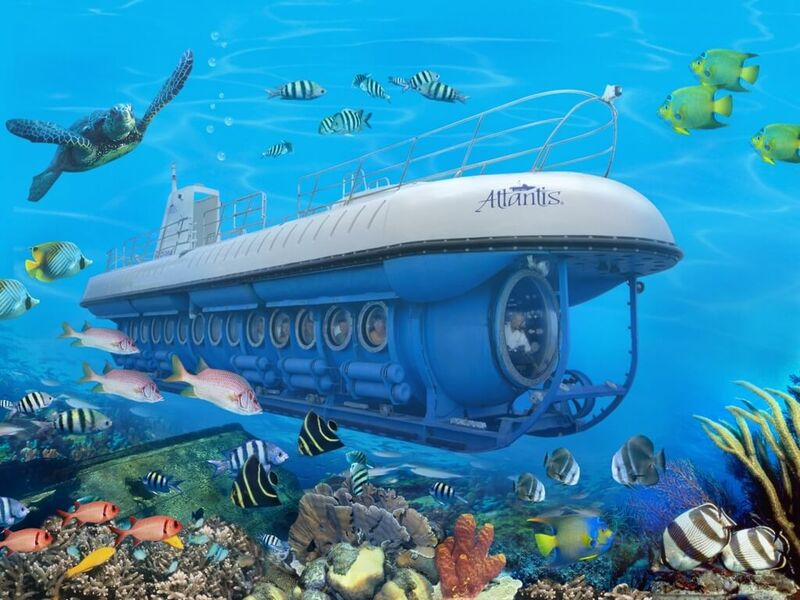 This family-friendly vessel will help you discover the Chankanab Reef and all of the wondrous sea creatures that inhabit it. It’s playground for thousands of fish, lobsters, rays, sharks, and turtles. Aboard the only touristic submarine in Mexico you ride to the famous Cozumel Wall, an 1800 feet drop off that is located on the far edges of the Island. Here you can marvel at a dive wreck called Felipe Xicotencatl, a 154-foot ship that sank in 2000 for the purpose of enhancing marine life in Cozumel coral reefs. The perfect tour for families with younger children who can’t swim yet, or don’t like swimming. 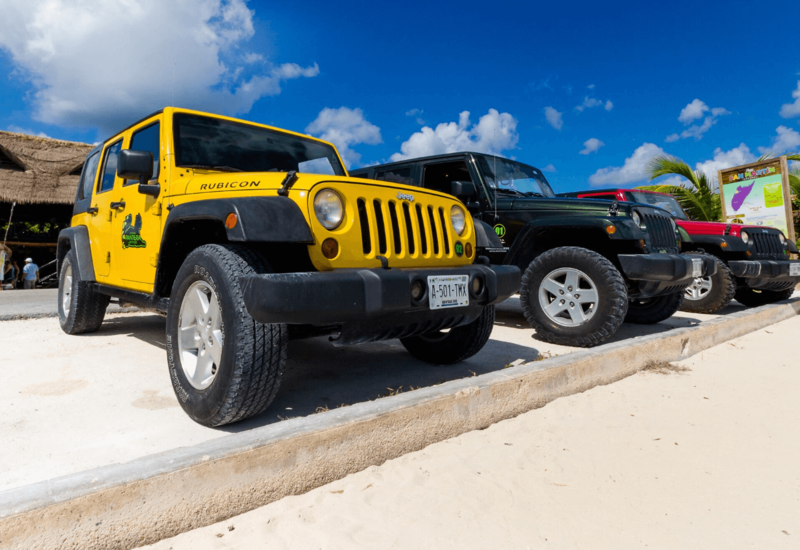 Pantera Jeep Tours offer 3 different types of excursions for you to choose and are a great way to see all of the island’s attractions in a short space of time (especially if you’re a little bit of a petrol head). Nothing feels more badass than roaming around the island in a jeep or hummer. Tequilera Los Tres Tonos – a tequila distillery where you can sample the finest blends. Playa San Martin – a sublime beach and the perfect place to soak up some sun and relax. Parque Ecologico San Martin – one of the oldest sites on Cozumel where you can observe wildlife such as crocodiles and birds in their natural habitat. Sky Reef – the ultimate snorkeling experience and food afterward. 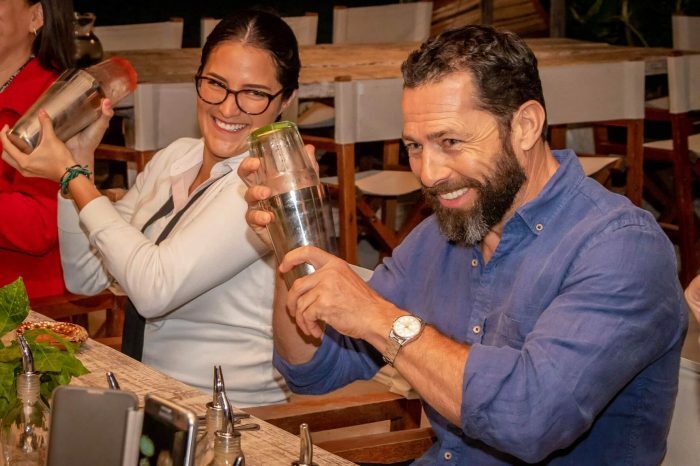 Mezcalitos – *only visited if there is enough time*, restaurant and beach bar. Crossing All Terrain – off-road through the jungle admiring beautiful landscapes. Ruinas La Palma – Ancient ruins providing endless photo opportunities and the chance to learn all about Mayan Culture. Playa Ixpalbarco – the final destination, a sublime beach where you can relax and enjoy a delicious roast chicken served with a rich guacamole, salsas, and tortillas. This tour is made up by visiting 5 places of interest on the island. Tequilera Los Tres Tonos – a tequila distillery where you can sample the finest blends. Salut! 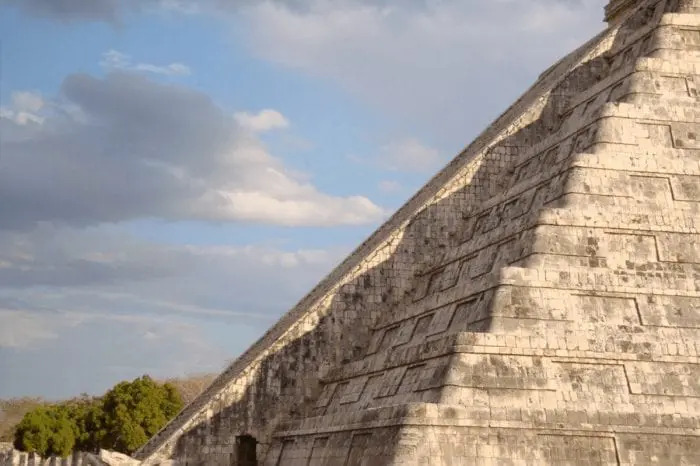 Zona Arquelogigica San Gervasio – Ancient ruins where you can learn about Mayan gods and deities. Parque Ecologico Punta Sur – The south end of the island home to a lighthouse and the museum of navigation. I don’t know about you but I’m very partial to some retail, especially on vacation! Luckily for you, there are plenty of shopping options in Cozumel. Cozumel has a concentrated area for shopping in and around San Miguel’s zócalo (Plaza del Sol) and extends for about 8 blocks along the waterfront and for several blocks back into the town. Take some extra cash and go exploring, who knows what treasures you might find! You’ll find everything from high-end jewelry stores, to lots of local handicrafts stores selling carved wood gifts, paintings, and papier-mache animals! Armed with lots of sunscreens and a hat take a leisurely stroll through the town. Some stores can be a little expensive but feel free to try and haggle a good price if you wish. Don’t be afraid to venture down the side streets to find more one-of-a-kind items. It’s a great way to avoid what locals call the “sidewalk shuffle”. You’ll experience a better ambiance and quality of stores if you head off on your own away from the beaten path. You’re in a place famed for its vibrant marine life, it’s only right you sample some delicious seafood while you’re here. My advice would be to head for the windward side of the island. 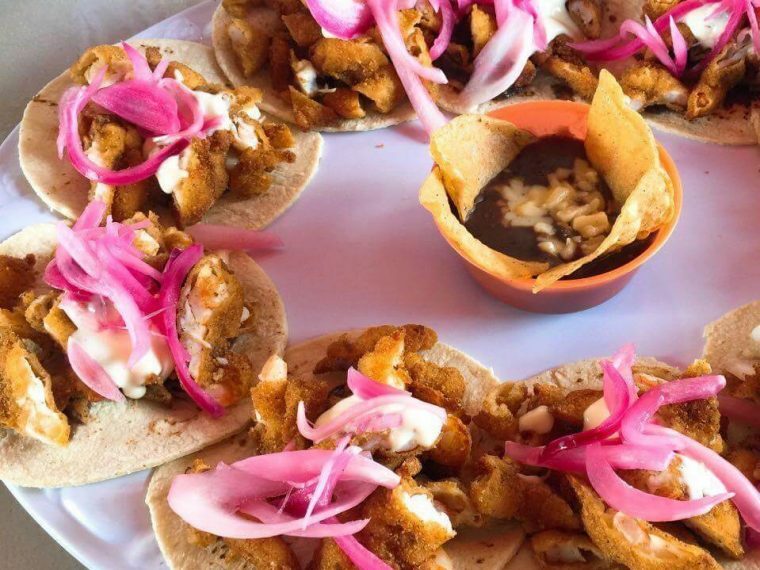 Not only will you witness a different side to Cozumel but you can stop off at Camaron Dorado for something to eat. The food here is incredible and once you get your taste you will understand why it is becoming an island favorite. Food is reasonably priced and there is a variety of options to choose from. Celebrated for its unspoiled nature, world-class diving opportunities, and beautiful beaches it’s no wonder 1000’s of people are hoping to tick Cozumel from their bucket list in 2019. It’s one of my favorite Mexican Islands, and time begins to slow down the moment you step off the boat. There are plenty of celebrated hotels (to suit all budgets), delicious eateries, and things to do in Cozumel. However, I’ve noticed that researching the island before you visit isn’t as easy as it may sound. Some of my favorite things to do on the island weren’t even coming up on Google. That’s why I’ve decided to take things into my own hands to make sure YOU don’t miss out on the best of the best. From Playa del Carmen, it’s always been easy to get to Cozumel, as the ferry pier is located just a few meters from the southerly end of 5th Avenue. 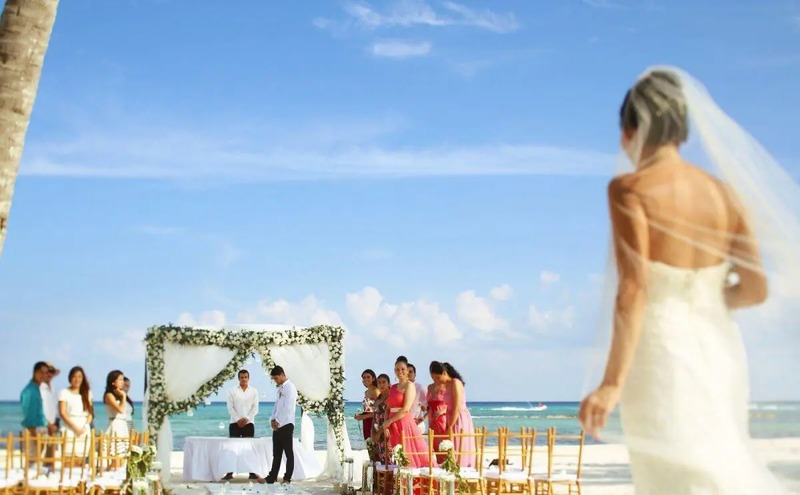 However, recent developments in transport services linking Tulum and Cancun have made it easier than ever regardless of where you choose to stay. 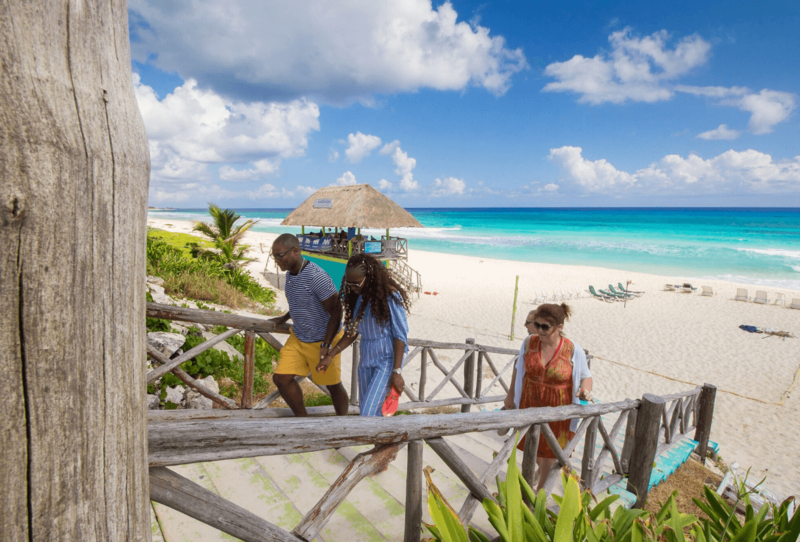 If you are interested in connecting services from Tulum / Cancun read all about Ultramar’s NEW services here. 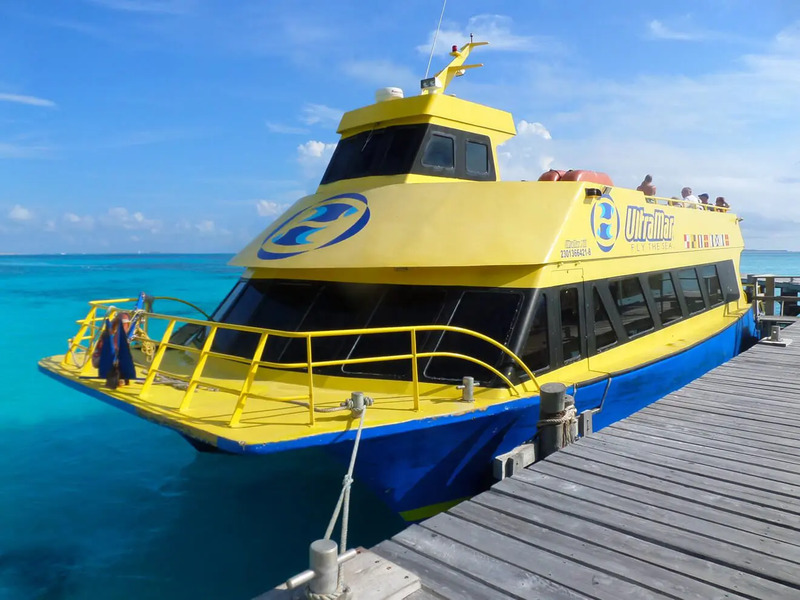 Once you reach the ferry pier in downtown Playa del Carmen you can purchase a ticket from two providers (Ultramar + Mexico Waterjets) who both make the crossing to Cozumel daily. View our updated Cozumel Ferry schedule here. 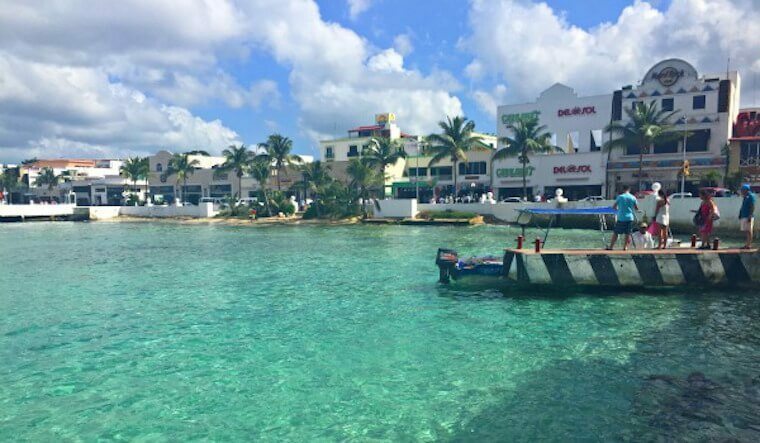 I hope you enjoyed the roundup of my 8 favorite things to do in Cozumel. Have you visited Cozumel recently and feel like I missed anything out? Be sure to let us know in the comments section I would love to hear from you. 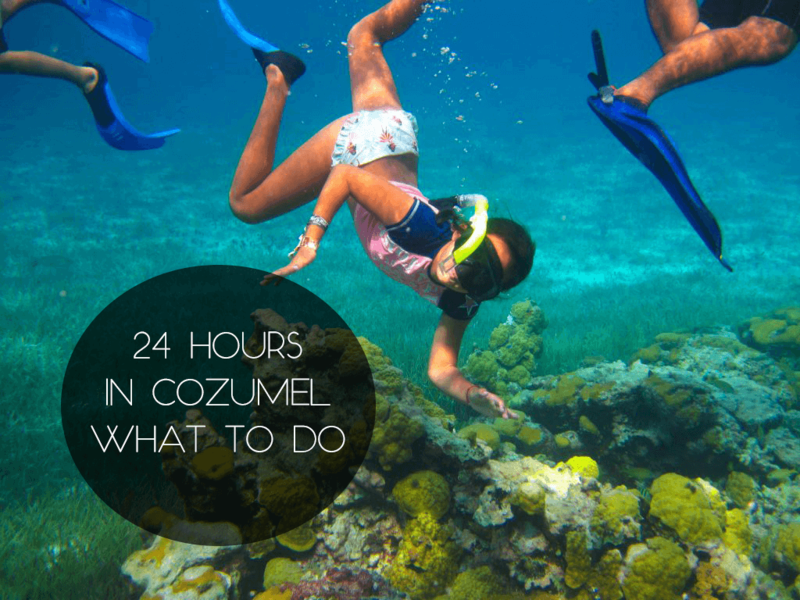 Only Have 24 Hours in Cozumel? The best hotels to stay at. If you’re struggling to choose which activities would be the best for you, we can help! We, PlayaDelCarmen.com, are a travel agency based in Playa! You can contact one of our expert agents today. We’ll make sure you get the best deals on your next vacation. What are you waiting for? It’s time to go on an adventure!